Click here for my ETSY shop and here for Folksy. My work can be purchased at the Haworth Art Gallery in Accrington, Hyndburn. Visit me at a Craft Market or exhibition. See the event page or my Facebook page. 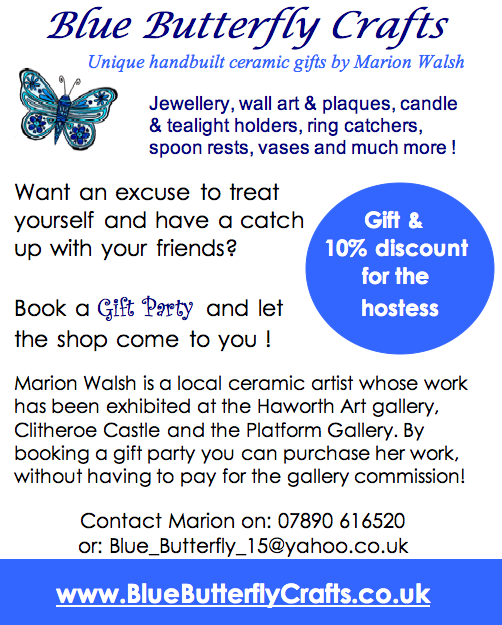 Book a Gift Party. Gift and 10% discount for the hostess.